Are you looking for a different setting for your nursing career this year? VNA of Hudson Valley, now part of Northwell Health At Home, is hiring Home Care RNs in Westchester! We spoke with our employees to get their top five reasons for taking on this unique role. Be in a position of trust. As a Home Care Nurse, you’ll be treated like the dedicated and responsible clinical professional you are. It’s up to you to make your schedule and complete your documentation, and there’s no need to report in at a hospital in person. Because you set your own work schedule, you’ll be able to arrange your day to meet the needs of your patients, as well as yourself and your family. Northwell Health provides Home Care RNs with an exceptional benefits package that includes generous paid time off (starting at 27 days per year), tuition reimbursement and much more. More one-on-one time with your patients. Working more closely with your patients is one of the biggest differences you’ll enjoy as a Home Care RN. And with innovative technology such as telehealth, you’ll have access to a whole team of clinical experts. Be part of a close-knit family. As a Home Care RN at VNA of Hudson Valley in Westchester, you’ll join an inviting and engaging organization where you’ll be recognized and valued for the unique abilities you bring. And as you work within the home setting, this family connection extends to your patients and their families. Ready to make a big career move this year? Need even more reasons to join us for a career in Home Care? Find out more and apply here. 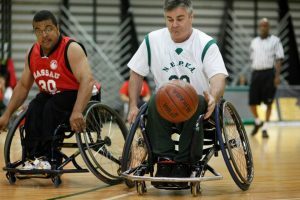 I have been advocating for individuals with disabilities – a group of which I am a proud member – for most of my life. The biggest challenges we have to overcome are not the disabilities, but the stigma surrounding them. As an Inclusion Specialist at Northwell Health, I now facilitate employment opportunities for individuals with disabilities. My role provides me with the resources to replace fear with mutual understanding, allowing persons with disabilities to become productive members of society. My job is especially meaningful to me as I know how it feels to encounter barriers from employers. I was born with a congenital malformation called Spina Bifida, which is a defect of the spine and spinal cord. As a result, my primary way of mobilizing is by use of a wheelchair. But I haven’t let that stop me. 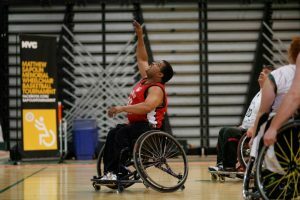 Through the support and dedication of my parents, as a child, I began participating in adaptive sports designed specifically for individuals with disabilities just like me. I was embraced by the community and it was empowering. The athletes I met over the years guided me through challenges on and off the court. Because of this experience, I learned that I too had a responsibility to support other individuals with disabilities. 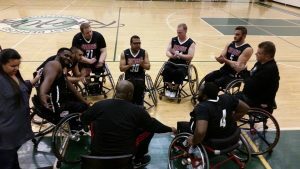 I took on a leadership position in my wheelchair basketball team to inspire others to overcome and live better with their disabilities.Northwell Health became the biggest supporter of my wheelchair basketball team. 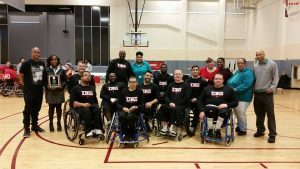 Northwell Health became the biggest supporter of my wheelchair basketball team. I was fortunate to meet Chief People Officer Joe Moscola, who introduced me to the different employment opportunities Northwell offered. I will be working to communicate our inclusive workforce vision by connecting with schools, vocational services, and other public forums. Community outreach is key to ensuring people with disabilities are aware of the multiple employment opportunities that exist within Northwell Health. Educating everyone in our organization to work collaboratively on creating dynamic opportunities well suited to both the needs of the individual and those of the organization can result in a successful outcome. Connecting our recruiters and hiring managers to individuals with disabilities through specialized events such as workshops will also foster direct communication, furthering our shared goals of creating an inclusive workforce. I personally know the difficulties that disabled individuals face when finding a job. I had countless conversations with prospective employers and found a few common themes: they would find multiple reasons why they could not hire this person, or if they were willing to give them an opportunity, why they were not able to promote them within the company. I know that I can play a vital role in helping other disabled individuals find a role here at Northwell Health and can honestly say that the organization is focused on this initiative. It is both my job and my vocation to improve the quality of life for persons with disabilities. My hope is that through creating opportunities for employment, we can work together to increase confidence within these individuals and inspire them to conquer more challenges and achieve even higher levels of success. It is both my job and my vocation to improve the quality of life for persons with disabilities. My hope is that through creating opportunities for employment, we can work together to increase confidence within these individuals and inspire them to conquer more challenges and achieve even higher levels of success. 1. Growth has been a big part of Northwell Health’s success over the past years. How do we plan to continue to grow in 2018? Everybody wants a piece of the health care space, from Google and Amazon to IBM Watson and other tech companies looking to disrupt the status quo. More recent examples include the purchase by Optum of the DaVita Medical Group, and CVS’ proposed acquisition of Aetna. As New York’s largest health care provider, we’re not going to stand still. There are ongoing opportunities for Northwell to pursue new, innovative partnerships. Most of the traditional consumer transaction companies trying to gain a foothold in our industry are not providers of care, so they will need to be connected to hospitals and health systems that are firmly established in major metropolitan areas. Their goal, like ours, is to improve the continuum of care and make the delivery system as seamless as possible, so there could be synergies and opportunities in the year ahead to pursue ventures that will enable us to compete more effectively in this rapidly changing environment. 2. How will we push the boundaries and be Truly Innovative in 2018? This era of consumerism forces everybody – including traditional providers – to think about doing things differently. I’m a big believer that competition is good. It’s disrupting. It can give you headaches and lead to sleepless nights, but it’s good because it forces you to work harder and get better. It forces organizations to be more efficient, more productive and more creative. These types of disruptions are occurring in all industries, not just health care. To that end, we continue to look to our employees for innovative ideas on how to do their jobs better, invest in startups that are trying to bring exciting new technologies to market and partner with other organizations to enhance what we’re already doing well. 3. What is your top goal this year for Northwell Health? Northwell Health will continue to expand its ambulatory network, and focus on ways to further enhance the patient experience. As noted earlier, we will continue to pursue innovative partnerships with other companies within and outside of health care. In keeping with our mission to improve the health of the communities we serve, we will also enhance our efforts in the disease prevention arena by strengthening our focus on promoting health and wellness. We’ll also continue to leverage new technologies that help improve access to care and our ability to monitor patients’ progress by maximizing our use of artificial or automated intelligence and telemedicine. Another important focus will be on strengthening customer loyalty by connecting with people early in their lives, and then meeting or exceeding their expectations during every encounter we have with them thereafter. As many of you already know, I was at Mather Hospital in Port Jefferson last month when they signed an agreement to join Northwell. It was a happy moment for everyone involved. They represent the 23rd hospital in our health system. Mather has a history and tradition of excellence that we’re proud to be associated with. And we bring to them an array of services and expertise they can leverage to help complement their offerings to Suffolk County residents. We are stronger together. We’ll work hard in 2018 to continue to strengthen that value proposition for our customers. 4. If you could give advice to someone interested in joining the Northwell Health family as an employee, what would it be? 5. What inspired you to get into health care? Long before I joined the health system in 1995, I spent more than 20 years working in many different jobs within health and human services, so transitioning into a health care organization seemed like a natural transition. While quite a few people are aware of my background working as director of health, education and human services for former New York Governor Mario Cuomo and as a professor of social policy at Fordham University, I previously worked as an administrator in the Rockland County (NY) Department of Social Services, as a social policy consultant and analyst for the Columbia University School of Social Work, the New York State Communities Aid Association, the National Urban League and the United Church of Christ, and earlier as a caseworker in New York City schools. In terms of inspiration, certainly my upbringing in a poor, rural area of Ireland was a major factor in why I decided to pursue a career in health and human services. I’ve always been driven by a desire to do the right thing and by the benefits I thought I could deliver to the community-at-large. For me, it has never been about personal benefits, but the whole idea of purpose: do well and do good for others. 6. How do you stay focused and motivated year after year? By continually pursuing new ideas that help me become a better leader and help the organization become more successful. While a lot of people think stress is bad, it pushes you to be more innovative. To be successful in any leadership position, you have to be a little bit unhappy and always searching for ways of doing your job better. As a former athlete, I always draw a parallel to sports. The only way to become good at any sport is to push yourself to the limit. There’s a big gap between our capabilities and our current level of performance. No matter how good you think you are, you can always get better. Having that personal drive and never being satisfied helps you grow, develop and exceed expectations. 7. How did you ring in the New Year? Reading a good book. Here’s a list of my most-recent list of recommended reading. As we enter the new year, try to find time to catch up on your reading. Here are a few books to help you begin. This is an enjoyable and educational read about the biggest forest fire in the U.S. history (in 1910). It devastated large areas of Idaho, Montana and Wyoming. The book is also the history of the U.S. Forest Service and the conservation legacy of Teddy Roosevelt. Very worthwhile. If you enjoy history, business and entrepreneurship this is the book for you. A large book but well organized into specific topical sections that provide relevant details in an enjoyable and readable fashion. You will learn a lot. A great history about the 1928 Peace Treaty when world leaders got together in Paris to outlaw future war. It did not work, of course but it is a splendid backdrop to current events. If you like history this is a must read. Interested in artificial intelligence (machine learning) this is the book to read. It outlines the background of AI and what we can expect to see in the next five to ten years – especially in the health care area. This will change how you think. Senator Flake, as you may know, just resigned from office because of the current political environment. He has received a lot of press coverage as a result. This book is definitely worth reading. He outlines his view of the conservative agenda in a substantial, analytical way. You will find much you will probably agree with- even if you are a liberal. It is only 135 pages- but well written and puts much of current debate in perspective. The true story of Irena Sendler who saved thousands of children from death in Nazi occupied Poland in World War II- an extraordinary personal risk. After you read this great book you will ask- what have I done? A history and a story of courage. Confused by the current debate, then read this. It will help clarify your thinking, give you historical perspective and be better informed overall. It is illuminating and well written. Ready to build your 2018 well-being toolbox? 3. Weight Watchers – Have you heard about the new Weight Watchers Freestyle Program? Looking for a Weight Watchers At-Work program? Our employees receive a discounted rate and 50% reimbursement for a covered Weight Watchers program when they meet the attendance requirements. All of these resources are accessible to our employees through the new myWellness program, where they can also explore other tools and programs! Are you ready to crush your fitness goals this year?